Today’s Distribution and Thank You Moose Lodge! Today’s distribution was another monthly success. 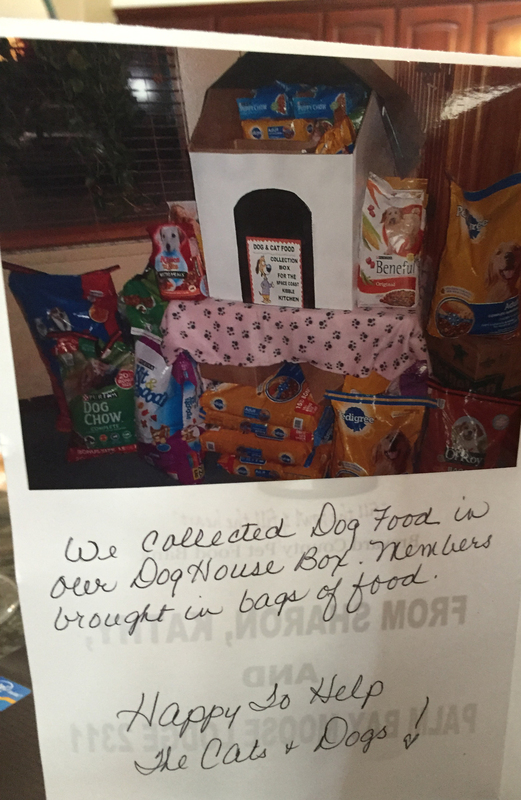 We distributed nearly 2,000 pounds of food and helped 120 families (nearly 600 pets). We’d also like to say a special “thank you” to our wonderful friends Sharon, Kathy and everyone at the Palm Bay Moose Lodge 2311 and the Women of The Moose Chapter 2193 for their extremely generous donation of nearly $1,500 as well as plenty of pet food! Your generosity and love for our community’s pets will allow us to continue to feed pets of less fortunate families in Brevard County. More importantly, your support will help ensure families keep their pets in their homes where they belong and out of our shelters! Thank you for all you do, you really are our champion! 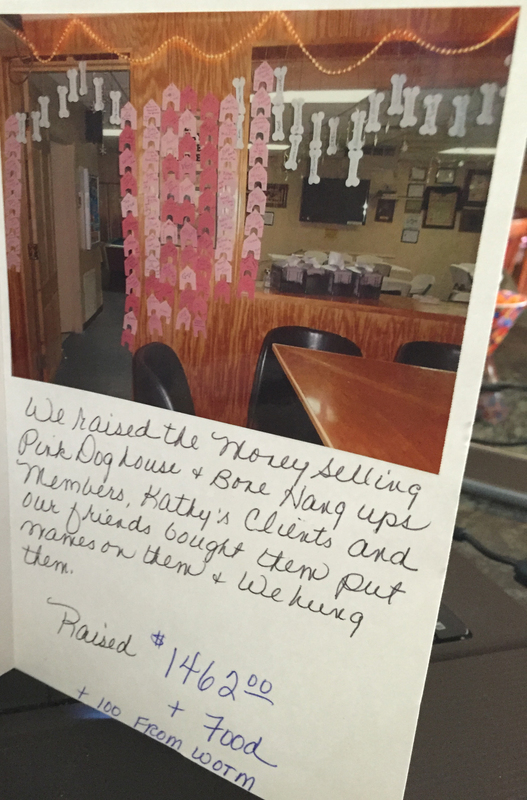 Beautiful card we received from our good friends Sharon, Kathy and all our wonderful brothers and sisters at the Palm Bay Moose Lodge 2311! 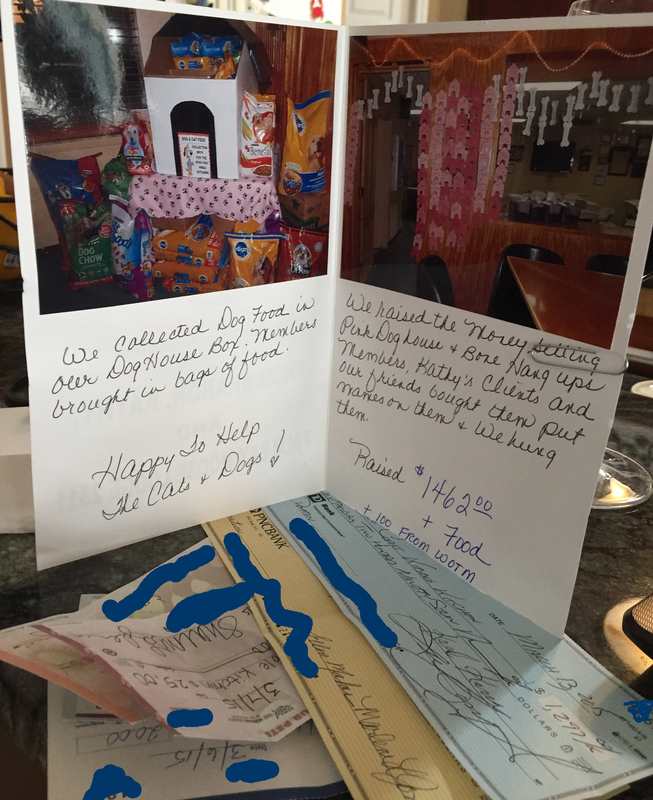 Inside of the beautiful card we received from our good friends Sharon, Kathy and all our wonderful brothers and sisters at the Palm Bay Moose Lodge 2311! 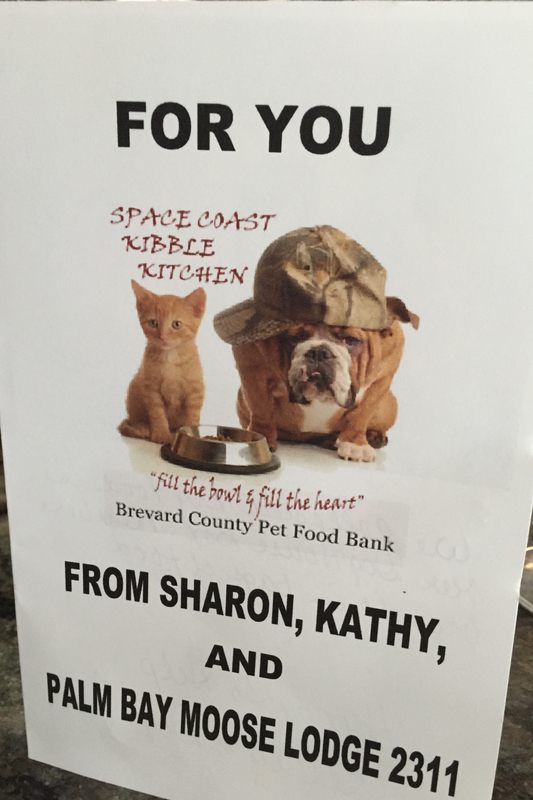 If you are interested in helping Space Coast Kibble Kitchen (SCKK) fill the bowls of less fortunate families in our community, please click here to donate and/or volunteer!